The Bethnal Green community is as diverse as you can get in London, with people from all walks of life leaving their footprints on the area, making it one of the best place to live. 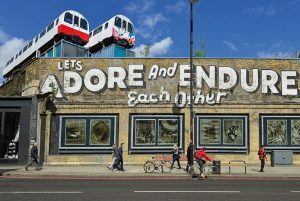 Unlike Shoreditch, Bethnal Green firmly holds on to its traditional East End roots despite gentrification, all the while becoming home to a superbly diverse community. Greasy spoons are packed in close to curry houses, Asian grocers and pie and mash shops, while cool wine cellars and cocktails dens are as prominent as old pubs and dive bars. And the iconic Columbia Road Flower Market contrasts perfectly against the nearby Brick Lane Market. It’s all a brilliant mix of culture, class and whatever else you can think of when diversity and multiculturalism come to mind. People come to live in Bethnal Green when they want to be close to the City but maintain access to ‘proper’ eclectic community vibes. Streets lined with highly sought-after Georgian houses easily blend in with new build loft conversions and ex-local council buildings. The Old Bethnal Green Road conservation area, built at the beginning of the 20th century for those working in the furniture trade, is also home to a unique selection of flats, houses and studios. But new luxury developments have also started to take over some of the best bits of Bethnal Green. White + Green is the perfect example. Within four separate buildings, this set of 144 apartments includes studio suites, one-bedroom, two-bedroom and three-bedroom apartments, plus commercial units all located around a central piazza. As expected, everything is high spec – including Smeg appliances, stone work finishes, double-glazed windows, and recessed under unit LED lighting. And, if you’re up high enough, you’ll even get stunning City views. 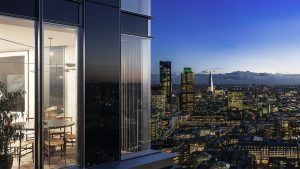 Prices range from £415,000 to £840,000, which aren’t crazy expensive for the area. Right now is the perfect time to buy as the market is set to grow steadily in the coming years. Who’s buying into the area? Old-school embedded East Enders, Bangladeshi families, and recently arrived professionals all make up the diverse community of Bethnal Green. 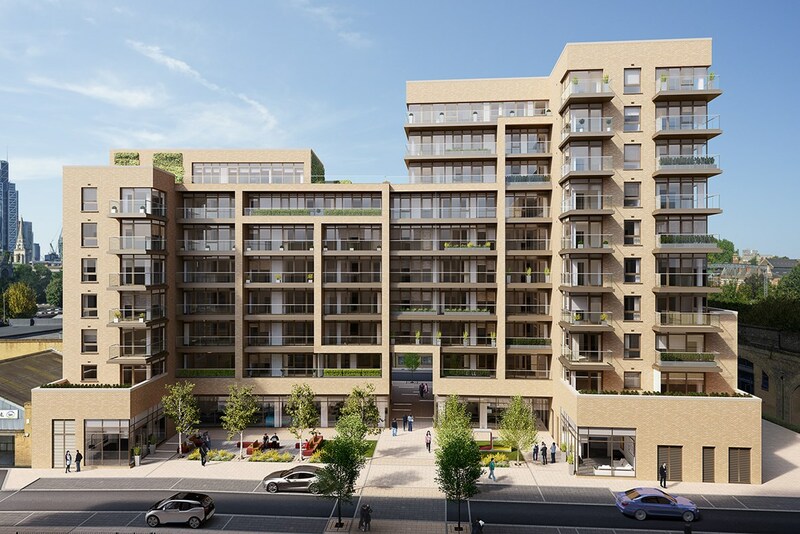 But it also becoming increasingly popular with young families upsizing from flats to larger terraced properties as well as a large group of creatives. 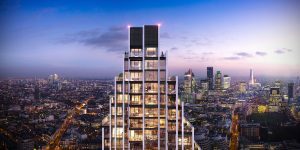 Moreover, City professionals are noticing their money can go further here than in nearby Shoreditch, and they can still get into central London with ease thanks to the nearby Tube and Overground stations. 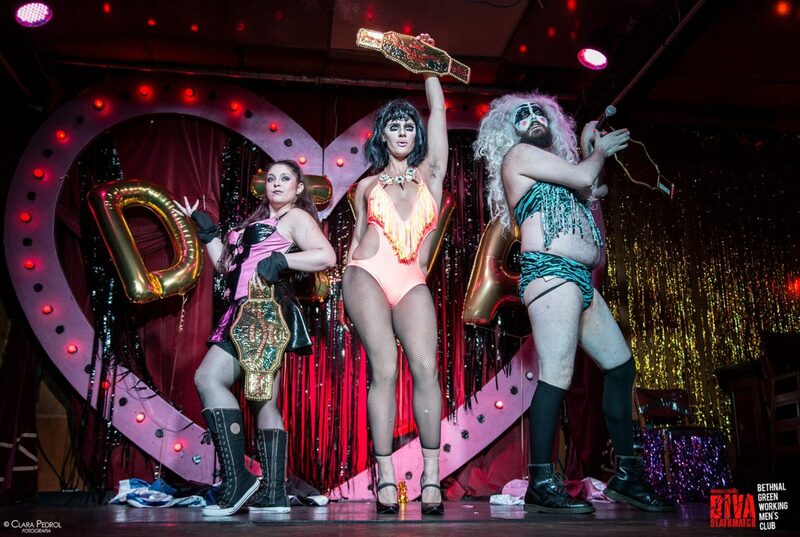 There are a few main drags in Bethnal Green where you find all the best bars and restaurants. First off, there’s Bethnal Green Road itself, which perfectly symbolises everything good about the area. 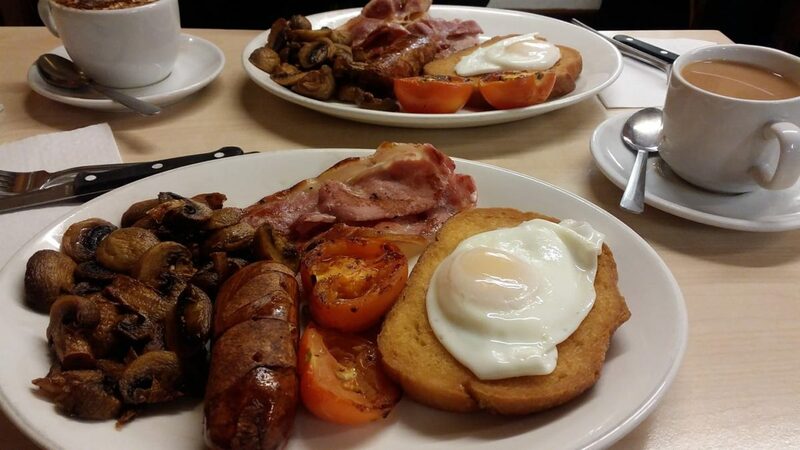 You’ll find one of the best full English breakfasts in London at E Pellici’s. It’s an old greasy spoon run by an immigrant Italian family; their cannelloni is also famous among locals in the know. Down a little further, you’ll find G Kelly’s where you simply must indulge in a classic East End pie and mash. There are also a spattering of bars and pubs with our favourite being The Sun Tavern. Hackney Road is where you find the Michelin Guides’ top pub in London, The Marksman, as well as A Portuguese Love Affair, where you’ll find the best in Portuguese food and wine. The Laughing Heart and the Honeymoon Bar are also brilliant local haunts. Lastly, down on Mare Street, one of the patch’s most kooky bars, Satan’s Whiskers, serves up banging cocktails with even better service. Look out for the taxidermy hidden within this somewhat secret bar. Right behind here lies Paradise Row, where even more bars and restaurants are waiting to be discovered. The Sunday Columbia Road Flower Market is the area’s biggest drawcard. Tourists and locals both love this weekly market where the road is filled with plants of all kinds, food stalls, and a ghastly amount of people. If the weather is good, the road will be packed, so plan to arrive early in the day – or at the very end when they start selling flowers at discounted prices. You’ll also find a stack of boutique stores scattered about the area. Some of the top spots include Wall and Jones, who sell all kinds of unique vintage clothes; Cosmos Records and Crypt of the Wizard take care of all your alternative music needs; while a whole heap of traditional Bangladeshi stores hawk clothes, food, and just about anything else you could think of. The V&A Museum of Childhood is a great spot to take the kids for a little history and fun on a rainy day. But when the sun’s out there’s no better spot than Victoria Park, which has its own large lake full of row boats for hire, dogs aplenty, and the adjacent Regent’s Canal for endless wandering. The nightlife in Bethnal Green is also some of the best in all of London. If you’ve never been to the Bethnal Green Working Men’s Club then you are truly missing out. It isn’t strictly a gay bar but it has plenty of drag queens, Madonna blaring through the speaker system, and strong cheap drinks. You’ve also got more delights at Rich Mix and the Backyard Comedy Club. Bethnal Green Underground station is located in the middle of the patch and offers super speedy access to the City via the Central line. You’ve also got Bethnal Green Overground station which gets you into Liverpool Street as well as the outer northern boroughs. And, of course, like all areas close to central London, there are countless buses zipping people off all over the place.